Period pain can be debilitating and is just one of the many symptoms of PMS affecting women. I reached out to our certified and licensed massage therapists to get their advice on how massage can help with period pain and menstrual cramps. So what is the best massage for period pain? Aromatherapy massage using essential oils: eucalyptus, lavender, roman chamomile and geranium, combined with massage techniques focused on the glutes and lower back to relieve pressure in the lower back will help immensely with period pain. In this article I will show you simple massage techniques you can use at home to relieve period pain. I will also cover essential oil concoctions you can prepare and use for the massage. I will show you massage techniques you can use at home to relieve period pain, but if you are looking for a more professional treatment, some massage therapists offer massage specifically tailored for PMS and you can book a massage online and have the massage delivered to your home. Therapists who offer period massage will have the option listed in their menu and in other cases you can check with the therapist if they can tailor their treatment to help you deal with the symptoms of PMS. 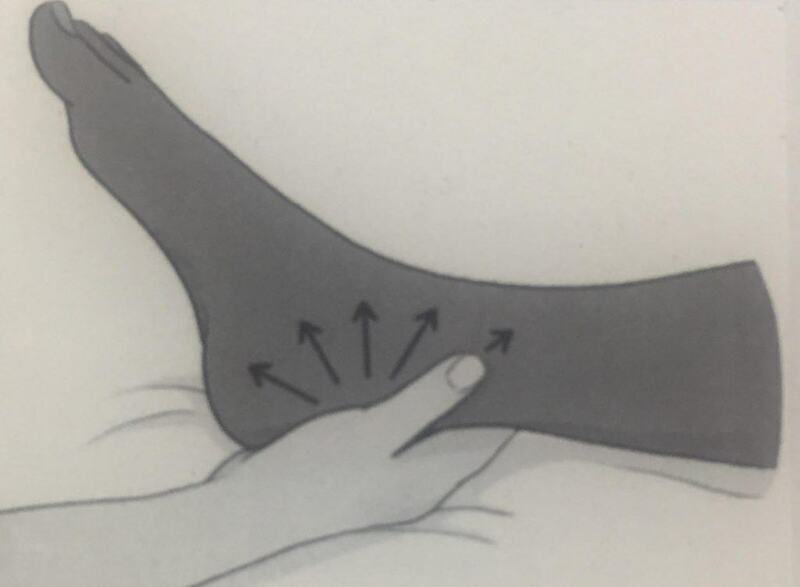 The compression massage technique is especially useful to combat lower back pain caused by PMS and the foot massage technique can help relieve general PMS symptoms. You can make use of essential oils when performing these massage techniques. Also, it may seem counter-intuitive but do not massage the stomach. Your focus should remain on the glutes and lower back. The sacrum is a triangular bone in the lower back just above the tailbone (coccyx). Follow the lower spine past the hips and you will locate the sacrum right in between the buttocks and above the tailbone. It forms a solid base of the spine and intersects with the hip bones. You can perform this technique in combination with a basic back massage. Also you can use essential oils as outlined below while performing this technique. The basic concept of reflexology is that by applying pressure on specific pressure points on the feet, hands, face or ears, corresponding organs and areas of the body can be affected to return the body to its natural state of wellness and balance. In reflexology the area around the ankles relates to the lower abdomen and so by massaging the ankle, symptoms related to PMS including period pain can be eliminated. If you have a bit more experience you can simply apply pressure with the thumb as you move outward instead of using the gliding technique. The benefits of essential oils and aromatherapy will be apparent with regular use, typically after 2 whole period cycles. You can use a combination of the essential oils above or use them individually. For an aromatherapy massage mix the oils in a base vegetable oil. You can combine 3 essential oils in the ratio 3:4:3 and add it to a base vegetable oil to prepare your aromatherapy oil. Experiment with the oils listed above to come up with a concoction that works for you. Pre-menstrual syndrome is a hormonal problem. It has been suggested that period pains are caused by low levels of progesterone in the body. However more research is needed to prove a direct correlation. Fluid retention is also thought to be a crucial factor in causing the symptoms. Pre-menstrual syndrome is believed to be caused by low levels of the hormone progesterone in the body and also due to fluid retention in the cells. Since fluid retention affects every cell in the body, especially the brain cells, the symptoms can range from headaches to irritability and weight gain. Is heat or cold treatment better for period pains? Heat therapy is advised for period pains and cramps. You can use a hot water bottle and apply heat around your stomach and abdomen for relief from period pains. You can also use a hot bath to achieve the same effect. It is generally advised to stay away from applying cold packs during your period.